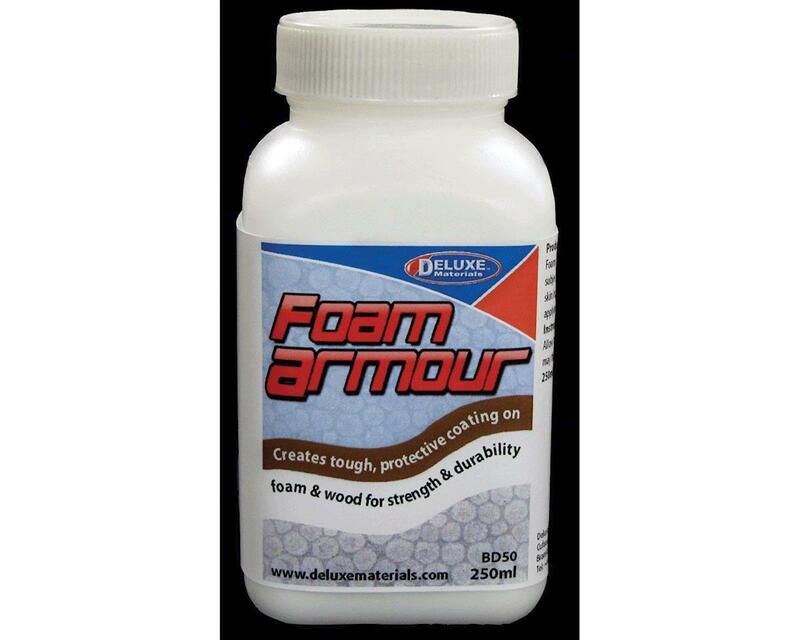 This is 250g bottle of Deluxe Materials Foam Armour. 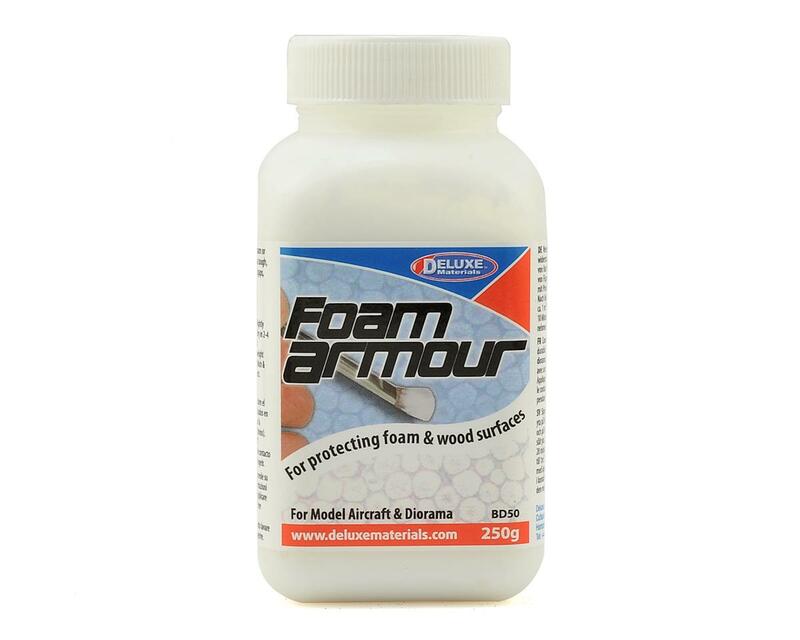 A thick water based resin that sets to produce an attractive, durable, scratch resistant coating on foam to prevent dings, wear and disintegration. It dries to a surface that can be painted and glued easily and will reduce damage. 250g pot covers 0.7 sqm / 7sqft.